Of course it's just under the wire, but here's a page I created using a fabulous sketch by Lydell Quinn for Helmar's February challenge. I love her sketches, and if you're looking for a little inspiration, I urge you to go check out the March Challenge on the sidebar of the blog. A quick canvas! I made this canvas for a collaborative week we are having with Helmar and PanPastel, and because someone in my house really likes firetruck. 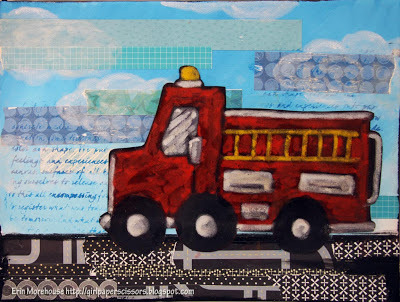 Ok...three "someones"in my house really like firetrucks. The Canvas measures 12 x 16 inches and is a simple mix of Acrylic, paper and PanPastel with Helmar Decoupage and Craft Paste. for more information, or to see more fun projects, head over to the Helmar Blog. At first, I was skeptical about the PanPastels, because I was used to using sticks; but boy was I wrong! They were so fast to apply because of the neat little sponge applicators, and really vibrant! I can really see the benefit to both formats, and can see me actually digging out my dry pastels again to use with them. Now to just find some extra time for creating! Here's a layout I did for this weeks collaboration between Clearsnap and Helmar. I just couldn't put off scrapping these crazy photos for another year ( plus we'll have 4 crazy boys to juggle by then). Check out the details on the Helmar blog here. 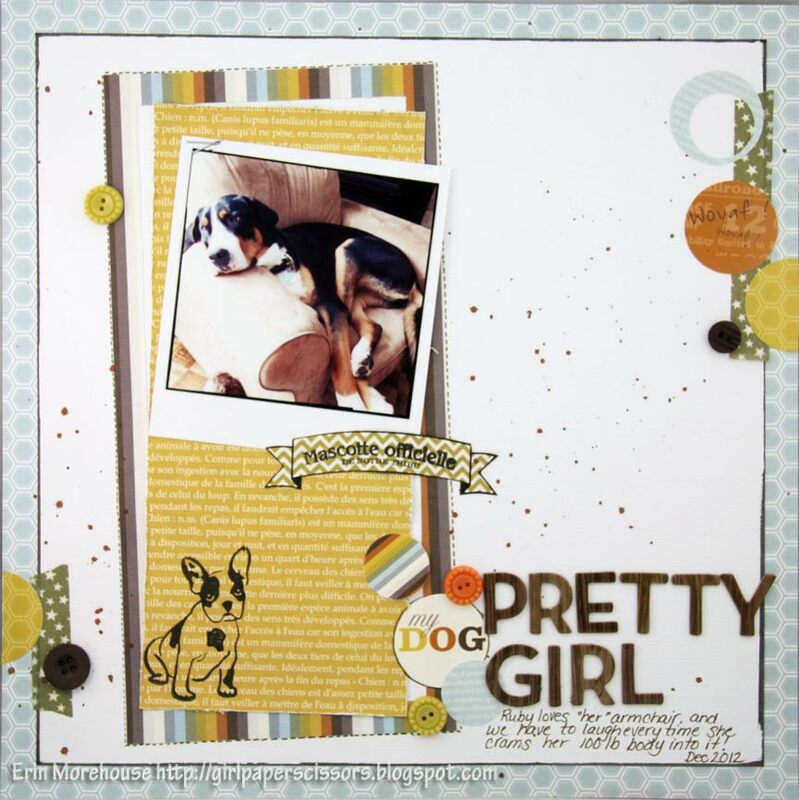 Patterned Paper: Doodlebug Design Inc.